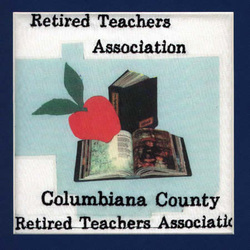 The Columbiana County Retired Teachers Association was organized in May of 1967. Paul Reeves served as the first President with Beman Ludwig as Vice-President and Alberta Windle as Secretary/Treasurer. Over the years dedicated members have been involved in promoting active community participation in many volunteer programs such as RSVP, tutoring grading essays, visiting nursing homes, etc. An active group of officers attend many District and State meetings and are continually looking for ways to improve teacher retirement in Columbiana County. Six meetings are scheduled each year, five luncheons and one day trip. The luncheons are held the third Thursday in April, May, September, October and November. They are a time for socialization as well as learning. We schedule speakers on topics of interest to the members. ​The day trip in June or July is a fun bus trip to an area point of interest or entertainment. The Co-Co Crier, our chapter newsletter, keeps members informed of pending legislation, area information, retirement tips and other topics of interest. The CCRTA also awards five book grants each year in May to county seniors who intend to major in education in college.